The salt lagoons of the Camargue in Provence, France have the remote look of a science fiction scene and are one of largest industries in the world. The flat Plaine de la Camargue and the salt lagoons definitely have a outer-space, science fiction look. However, this is Provence, France and it is the site of one of the largest salt industries in the world. There is a nearby salt industry 'city' Salin-de-Giraud established by the interested chemical companies.Salt Lagoons, Salt Industry, Parc Naturel Regional de Camargue, Plaine de la Camargue, Camargue, Les Bouches du Rhone, Provence, France, Europe. 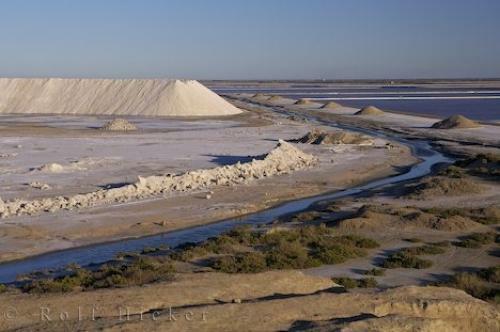 Photo of one of the largest industries, the salt lagoons of the Camargue in Provence, France in Europe.